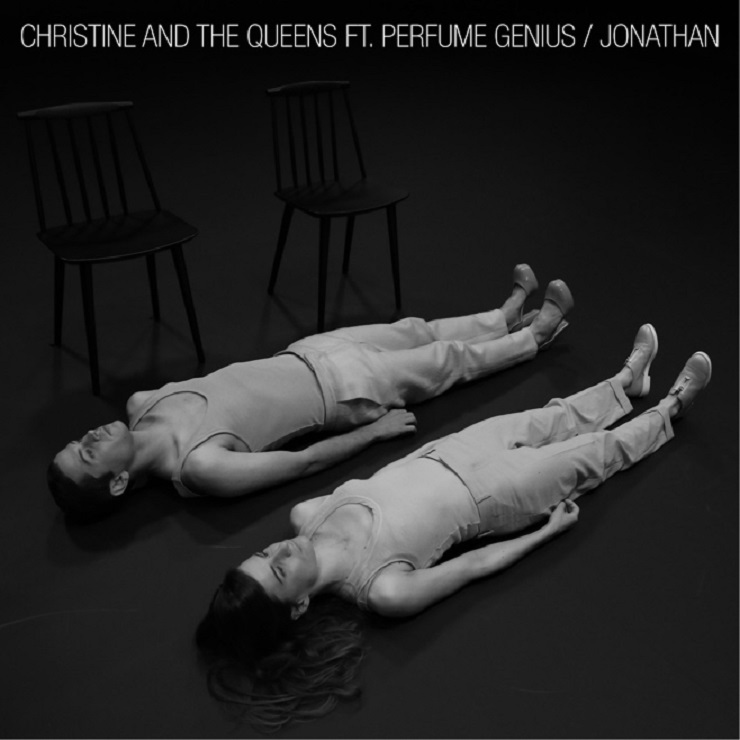 French act Christine and the Queens are just about set to issue a self-titled LP, and have opted to preview the collection with a cut featuring Perfume Genius (a.k.a. Mike Hadreas). You can hear Hadreas and Christine and the Queens' Héloïse Letissier new duet, "Jonathan," online now. The song begins with a tremor of electric piano and the soft, soothing voice of Perfume Genius, here detailing dark times and reaching out for a bit of help ("Can you lay your hand on my forehead?"). Following the addition of some symphony strings, Letissier's French language vocals come cooing in. I wrote 'Jonathan' because my lover would ignore my existence outside of the closed, silent room I lived in; it became then imperious for me to sing, just to make sure I was still here. From the start, the song had two voices; one in English, one in French - longing for an answer I knew I would never get. So it was there, on my computer, crepuscular, like my own little Mrs. Butterfly's swan song. She added that she reached out to Hadreas "because his voice melts every stone." The song is streaming below, while Christine and the Queens' album lands October 16 via Because Music. ​Christine and the Queens Mashes Up Rihanna's "Kiss It Better" with Kate Bush's "Wuthering Heights"